Aircon Servicing Singapore: Can Aircon Help To Improve Indoor Aircon Quality From Haze? Haze can be a common problem that may be suffered by many homeowners living in Singapore. This problem may reduce the air quality inside your own house. There are many great tips that you can follow to remove haze from your house completely. Using aircon units is proven to be very effective to improve your air quality It is possible for you to reduce haze from your house by using some air conditioners. However, you have to take care of your aircon units before you can remove haze completely. There are several useful things that you need to do to improve the air quality inside your rooms. It is important that you clean your air filter regularly, especially if you have haze problem in your house. Haze can bring some unwanted materials into your house. These impurities may be absorbed by your air filter. Dirty air filter cannot function well and properly. Therefore, you have to open your air conditioner units, so you can clean your air filters properly. Cleaning these air filters is good for improving the effectiveness of your aircon units to remove haze from your house. If you want to improve the air quality inside your house, you should clean this air filter at least once a week during haze problems. Haze may cause your air duct system to accumulate some unwanted materials, such as dirt, dust, ash, and other materials. These materials can be dangerous for people who spend most of their time indoor. Therefore, you have to check your air duct system regularly. Cleaning this system is very useful to prevent any problems that may be caused by haze. Regular air duct cleaning can improve the performance of your aircon units to improve the indoor air quality effectively. Your air conditioners can absorb some haze in your house by using this clean air duct system. This is another important thing that you have to do when you want to eliminate haze from your house completely. Make sure that your air conditioners have proper parts that can function normally. All parts inside your air conditioners should work well, so your aircon unit can remove haze from your house completely. There are some aircon service companies that can help you check all parts inside your aircon unit properly. It is important to take care of your aircon units, especially if you want to improve its performance and effectiveness in removing haze from your house. Some air conditioners are equipped with humidity control. This system is very useful to reduce haze completely. Some experts believe that you need to increase the humidity level, so all materials from haze can fall down to the floor. It is not a difficult thing to increase the humidity to your desired level. You can leave this situation for a few hours. All materials from haze are going to fall down, so you can remove them from your house easily. However, you need to use vacuum cleaner or mops for removing these materials from your own house completely. Don't forget to get routine HVAC maintenance for your own house, especially if you suffer from haze problems. Haze can cause some unwanted problems on your HVAC (Heating, Ventilation, Air Conditioning) system in your house. By maintaining this system, you are able to improve the performance of your air conditioner effectively. Your aircon units are able to filter all materials from haze completely. It is recommended that you have routine HVAC maintenance at least once a week to maintain its effectiveness. After reading this article, you should know how to improve the air quality inside your house with proper aircon units. A good air conditioner can be used to remove some materials from haze completely. 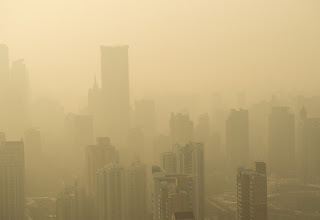 If you want to get maximum result, you can install some air purifiers for removing these haze materials quickly. There are some air purifiers that are available today. Make sure that you turn on your air conditioner when haze problem occurs in your house. Air conditioner has some air filters that are useful to remove unwanted haze materials from your house easily.